Hi everyone! It's been a while since I first started talking about wanting to redo my bedroom. But with the help of Wayfair, I've finally started the daunting process. For today's post, I'm going to show you the inspiration for my re-do, and I'll be sharing the completed look on Wednesday! I thought a lot about what I wanted for my bedroom before I actually started purchasing furniture. I spent hours on Pinterest and felt like I was pinning a million different things. I was scrolling through Instagram and saving all the bedroom and home decor pics that I thought I wanted, and throwing up IG stories and polls left, right and center. I really wanted to get a metal bedframe to begin with, and I did (will show that Wednesday!) but soon realized that it wasn't really my style. Then, I started going through all the saved posts to see what similarities there were, and what was appearing most often. I realized that I was drawn to beigey-greys, with pops of pink and metallic (which shouldn't have surprised me at all, to be honest). I think, being the newb that I am at designing, I was afraid that having white and beige and creams would look too similar and one-dimensional, which was why I really wanted to add some colour. I was also worried that adding pops of pink would be too juvenile, but knew that sine it was my favourite colour, I would regret trying anything else. 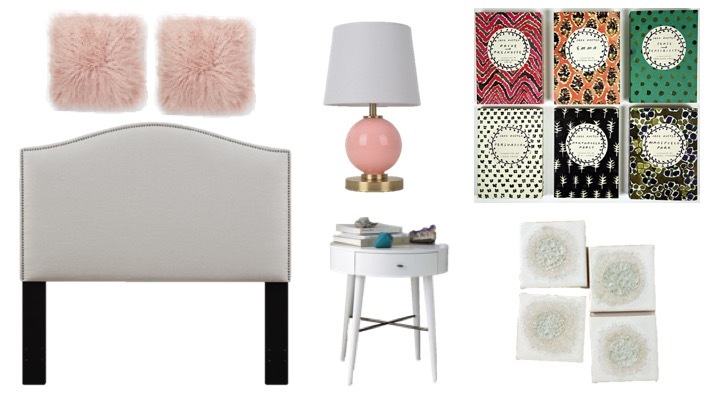 I wanted to pick pieces for my room that could transition with me through different stages of my life; things that were neutral enough to pair with other colours and textures and would withstand the test of time. 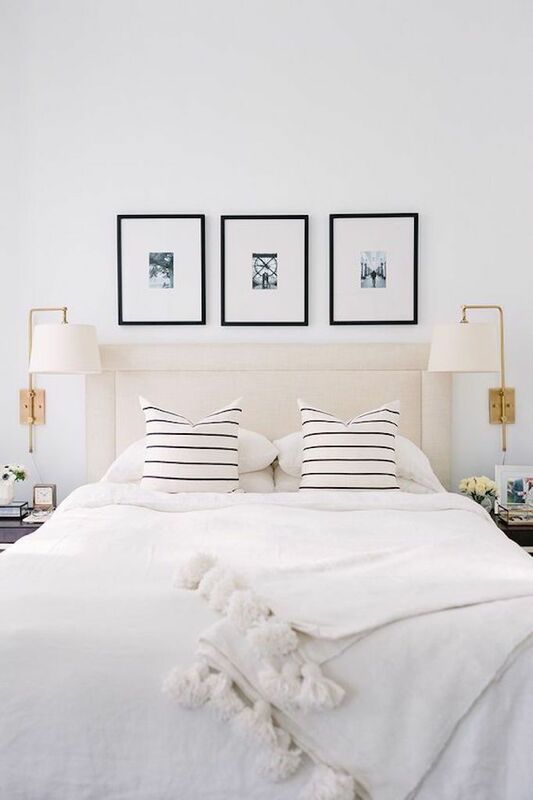 A simple upholstered headboard with brass nail heads and some white end tables were the perfect solution. I fell in love with some pink Kate Spade lamps, and stalked a million Home Sense locations for them, but could only find the green or black and white stripped ones in store. Enter Wayfair. I was kindly contacted asking if I wanted to do a sponsored post, and I was over the moon excited. They have an insane collection for everything you could possibly want. The website can be a bit overwhelming, but if you go into it with a clear vision, you can easily use the drop down filters to find just what you're looking for. I'm so excited to share the final pictures with you in a few days! If you follow me on Instagram, you've already seen some sneaky pictures in my stories. How would you redo your bedroom? What pictures and styles inspire you the most?